An 8-year-old boy in New Jersey has taken up the ambitious task of playing Santa. 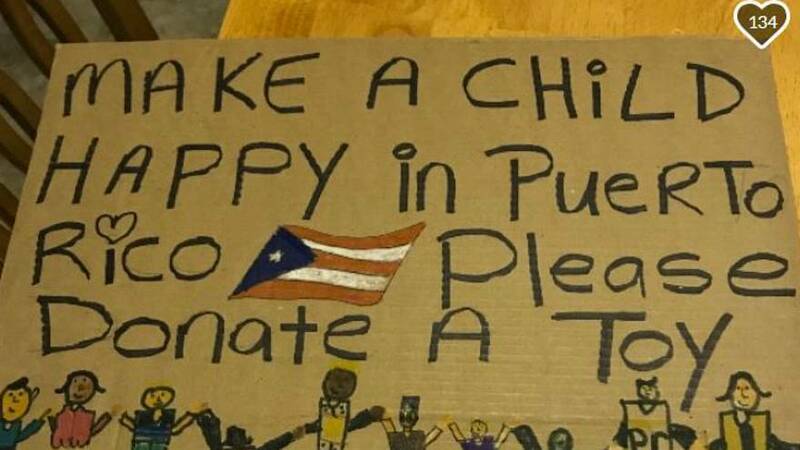 Jayden Perez managed to collect over 1,000 toys for the children of Puerto Rico in the span of two weeks with the help of neighbors and friends. Jayden’s mother recalled how he said toys alone wouldn’t be enough for all the children of Puerto Rico— so she suggested a toy drive with the help of Jayden’s teammates, their parents, and coaches. But Jayden wanted to collect even more items. So he had his mom post a video on her Facebook account, where he explains that a “bad hurricane” hit Puerto Rico, causing people to lose their jobs and toys. “So can you donate one toy from the bottom of my heart and from the bottom of your heart?” he asks in the video. The family held a toy drive on 3 December at their Woodland Park residence in New Jersey and donations continued to pour in long after. Jayden’s efforts caught the attention of the NBA, which donated more than 20 boxes of official merchandise and toys. Rosado also created a GoFundMe page with the goal of raising $5,000 to purchase additional toys. At time of writing, they have raised $8,280. The family will make the journey to Puerto Rico to deliver the toys on 4 January, just two days before Three Kings’ Day, a beloved holiday in the country when children receive gifts and continue to celebrate the holiday season.